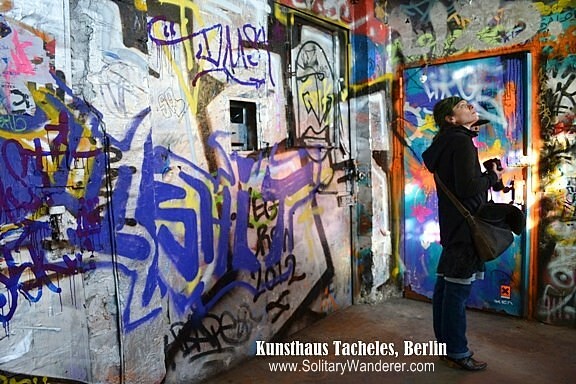 Early last year, I stood in front of Kunsthaus Tacheles, the art center in Berlin which reminded me a lot of Christiania in Copenhagen, not only because of the artwork but primarily because of the informal nature of the residence, too. 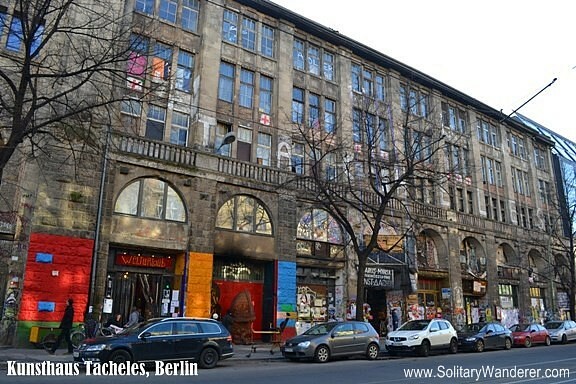 Unlike Christinia, however, whose residents succeeded in getting enough funds to buy their property from the government, Tacheles surrendered in September 2012. Kunsthaus Tacheles (Arthouse Tacheles) used to be a department store in the early 1900s, and had undergone several identity changes throughout the century, from being a showroom to becoming a prison during the second World War. The facade of the building. 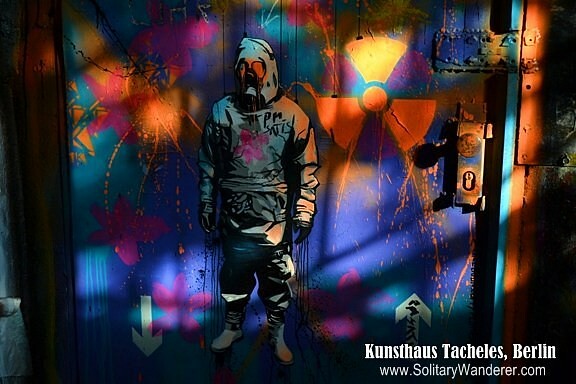 Through the years, the government and previous owners supported the group, called Künstlerinitative Tacheles (Artists’ Initiative Tacheles), calling the site a historic landmark. 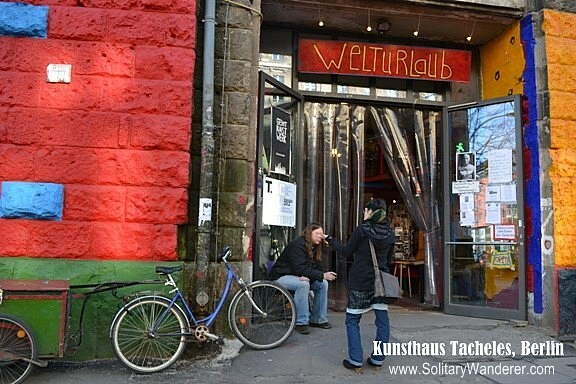 Unfortunately, with the change of ownership came change of plans, and the 80 or so resident artists had to finally move out of Tacheles on the first week of September last year. Artwork are scattered around in the art center. 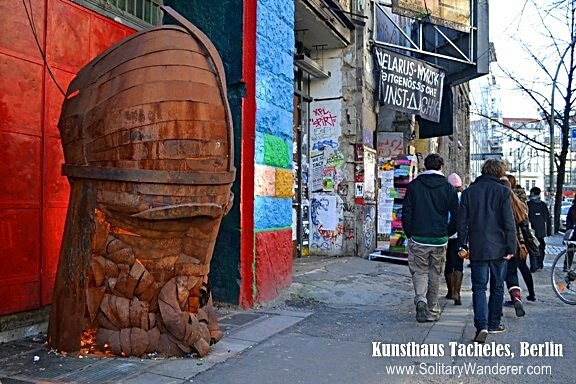 Early last year, a colleague I met on oDesk took me to Kunsthaus Tacheles. She knew a lot of the artists, and as we walked up the building, she told me about its history. At one point, she wanted to take my picture, asking me to pose by the graffiti-covered landing on the stairs. Graffiti was everywhere inside the building. Being Filipino, I automatically smiled for the camera. I was taken aback by her reaction to my smile; she said that there was nothing in the place to smile about. The artists there would soon be homeless, and for that alone, I should pay my respect. Properly chastised, I presented a somber face for the photo opp. …and inside the rooms, too. At the time we visited, the place which used to be alive with a number of people of varying artistic tendencies was mostly empty. Floor after floor, there was no one and nothing except the art on the walls, eerie images in psychedelic colors that seemed to be the stuff of nightmares. 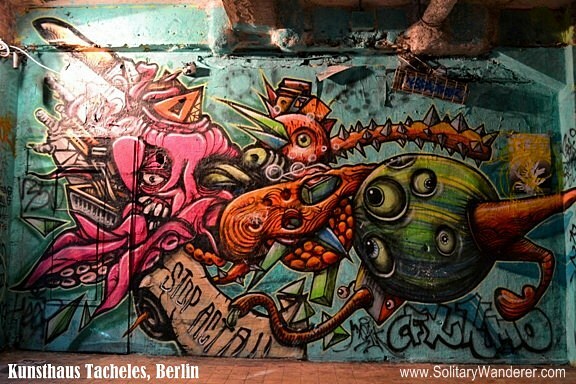 Groups of people had wanted to save Tacheles. 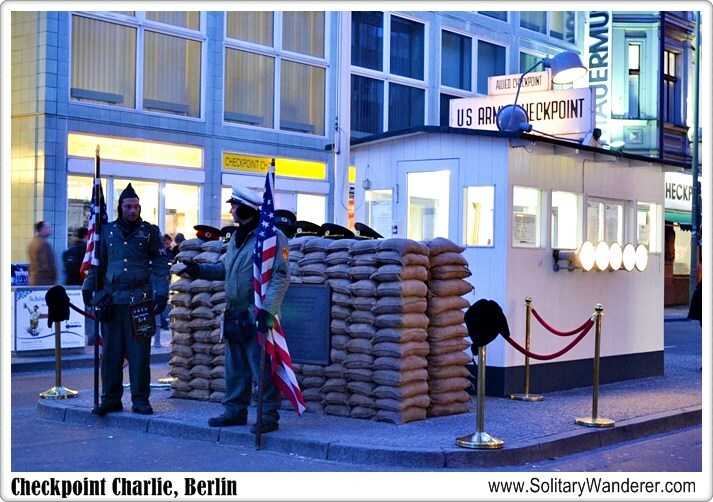 They saw it as a powerful symbol of the Berlin art scene. 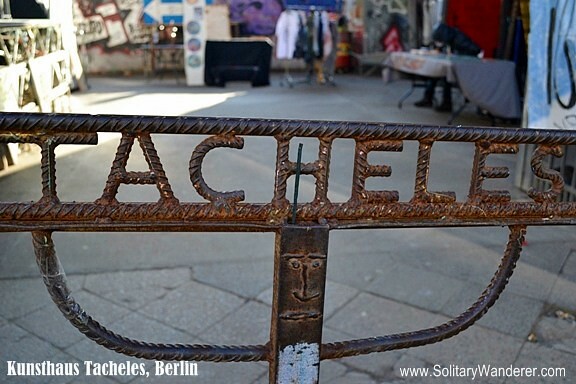 Others, however, saw the eviction of the artists as a move that had been long-delayed, saying that Tacheles is nothing more than an overrated tourist spot. Only the store in the first floor showed signs of life. 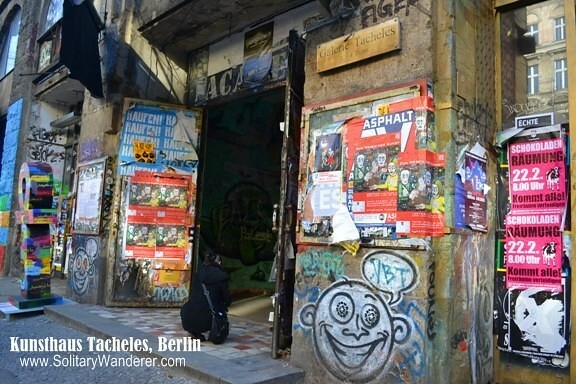 However they saw Tacheles, its closing certainly brought about the end of an era for a city that has been well-known for its alternative art scene. Hi Aleah, what an interesting piece. 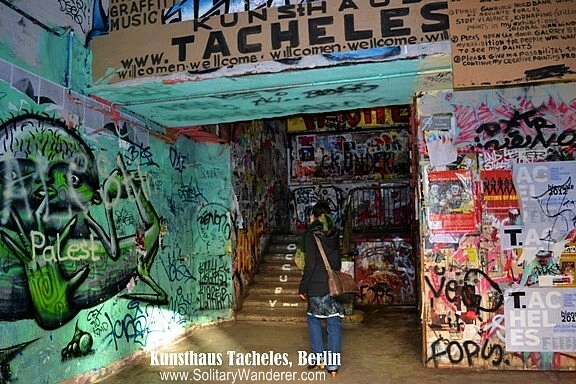 I had read about Tacheles and its another sad case of artistry vs. capitalism. There’s a simiar case happenning in New York. Money can always topple down art but art will always bounce back. 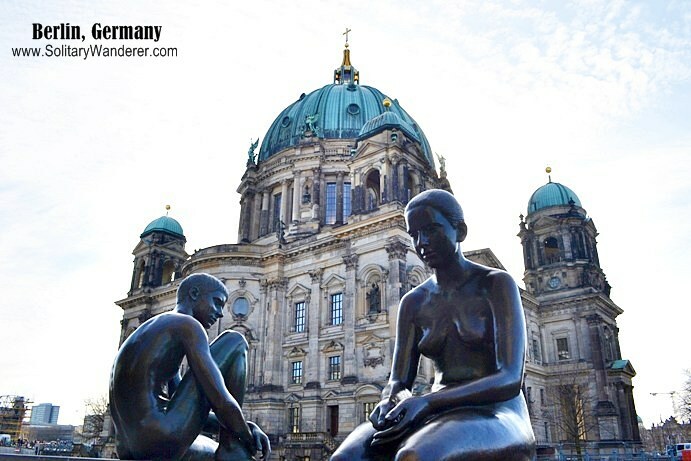 @ Photo Cache: Berlin is known for its arts culture. Will write a post soon on its street art. @ Carlo: Yep, Berlin is known for its street art! now this is what you call street art! the walls are fantastic! this is a very interesting place especially if one is artistically inclined. i enjoyed the graffitis or wall arts that you showed.